This week we would like to feature an article published by our good friend Todd Pouliot from Gateway Financial. 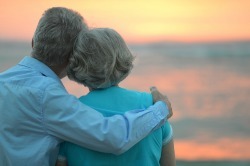 In his post, Todd asks the critical question: Is America Ready to Retire? You may be surprised at the answer. Defined goals lead to definite plans. If you set financial objectives and plan for them, you vault ahead of most Americans – at least according to these findings. A written financial plan does not imply or guarantee wealth, of course; nor does it ensure that you will reach your goals. Yet that financial plan does give you an understanding of the distance between your current financial situation (where you are) and where you want to be. Todd Pouliot, AIF may be reached at 1 (844) 592-9888 or Tpouliot@sigmarep.com. This entry was posted in Financial Planning and tagged accountant, Financial planning, retirement on August 25, 2015 by mk4lahrmer.